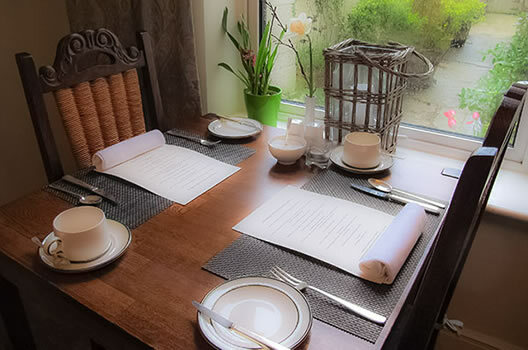 Holmleigh House Bed and Breakfast, in Seaton, Devon, is situated opposite the beautiful Jubilee Gardens with its putting and bowling greens, tennis courts and a children's play park. The sea front is a two minute walk away and the bustling town is just around the corner. 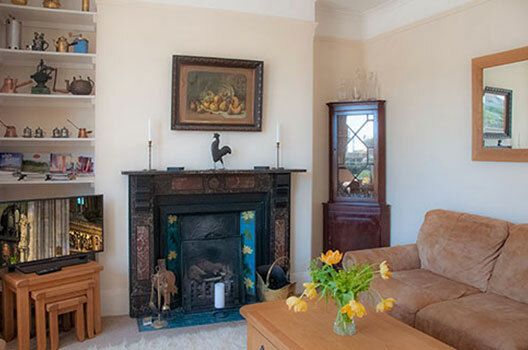 Holmleigh House is an elegant Edwardian three storey property offering three stylish bedrooms , all en-suite. Room1 - Twin room with ensuite, including full breakfast. £85 for two, £75 for one. Room 2 - Double room with ensuite including full breakfast. 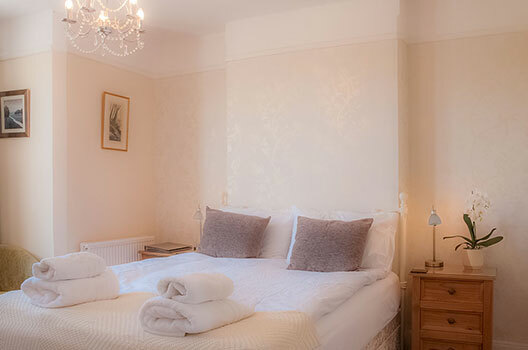 Room 3 - Superior double room with ensuite and bath, including full breakfast. £95 for two, £85 for one. We, Linnea and Nigel, have now taken over Holmleigh House. Our previous experience includes owning and running L'Epicure restaurant in Soho London for 19 years. We then moved to Kent and Soho South restaurant for 6 years, and have just returned from Särnaheden (IDRE) in Sweden where we have been running our hotel Knappgården for the last 14 years. We are very excited about being back in England and particularly having found Seaton and Holmleigh House. 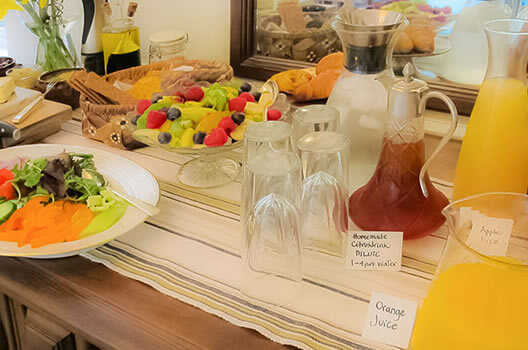 We shall do our best to maintain the high standards our customers have come to expect and look forward to welcoming you with a warm home from home feeling.